Walton Hall and its gardens are situated just outside Warrington in the North West of England. Shamefully, I’d never heard of them until yesterday when they were mentioned in a Facebook group as a great place to go for little ones. The gardens are open all year round from 8am until dusk- even Christmas Day! As well as the beautiful landscaped gardens, there is a cafe, picnic areas, crazy golf, children’s play areas and a children’s petting zoo. 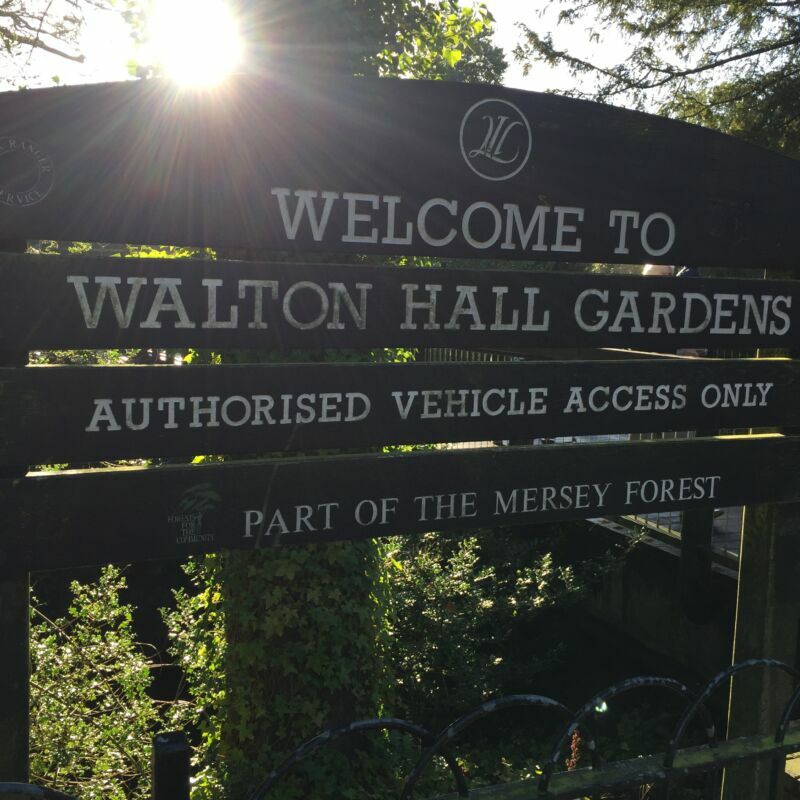 The gardens are easy to find by car and are also on a local bus route: the X30 stops outside the Walton Arms pub, a five minute walk away. The car park costs £2.50 per car (£3.50 on weekends and bank holidays) but entry to the gardens is free. We chose a very crisp and frosty bank holiday Monday to visit. It was quite busy without being overwhelming. 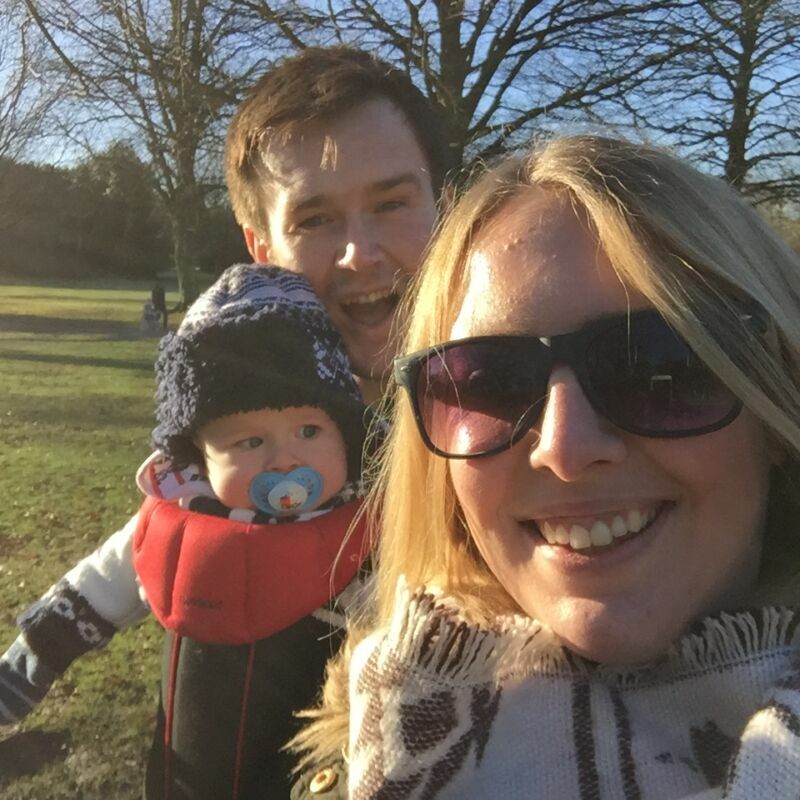 We used the carrier to take Dex around the gardens, but there are paved paths so a buggy/pram can be used. 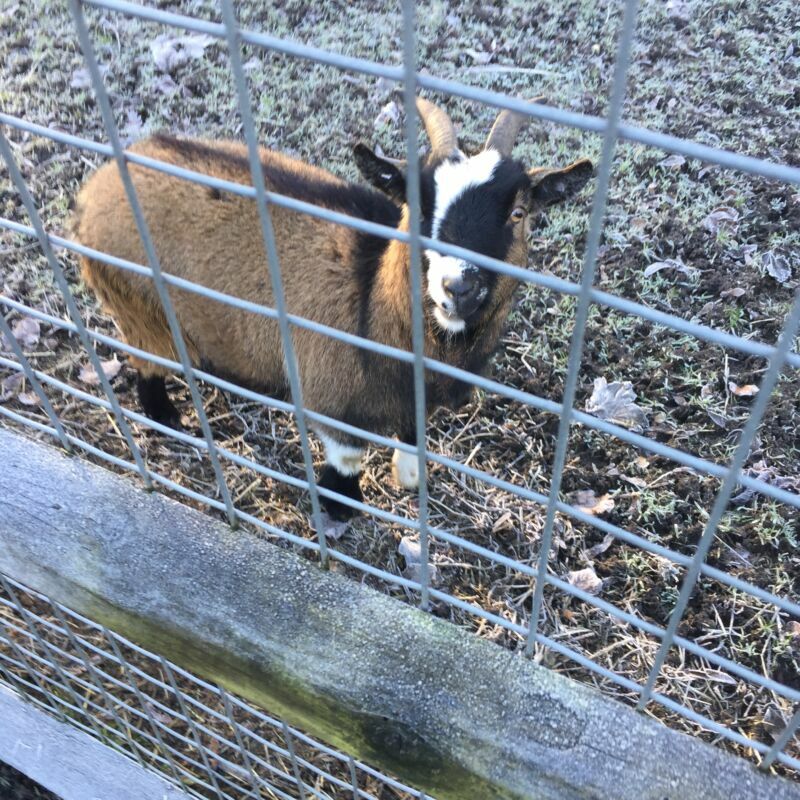 I was most excited about visiting the petting zoo. Dex is becoming more and more aware of his surroundings and I thought it would be nice to show him some real life animals. I wasn’t disappointed. There were goats, sheep, donkeys, llamas and a range of exotic birds. The sun was very low and it was so cold that I don’t think Dex took much in but I loved it! The zoo is pretty small but there’s plenty to see and the kids seemed to love it. We had a wander around the gardens and over to the Heritage cafe. The cafe serves sandwiches and hot and cold drinks. Unfortunately, there was a rather large queue and the coffee machine appeared to be suffering with some difficulties so we abandoned the idea of sitting in the warm with a coffee. It is worth noting that there are plenty of tables to sit at (including some with couches) and also high chairs available which is great for people with babies (like ourselves). The cafe also takes card payments which is good if you used all of your change on parking. The toilets are situated just around the corner from the cafe and include a baby changing area- always good news when you have a baby who chooses to poop at the most inconvenient of times! All in all, we had a lovely day out at Walton Hall gardens. It will be lovely to go back when the weather gets a bit warmer and maybe take a picnic to share. Have you been to Walton Hall Gardens? What did you think? The Honest Father proposed to his fiancée here a few years ago. Check out the funny story here.